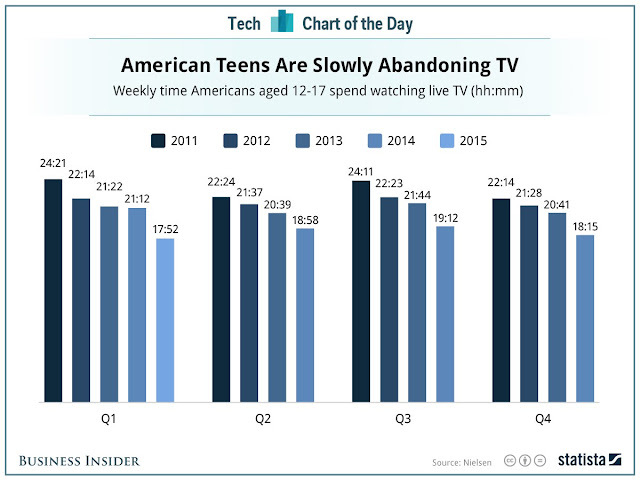 Business Insider UK posted this simple chart a couple weeks ago about the change in the amount of time Americans aged 12-17 are spending watching TV. What struck me most about this choice of chart is how difficult it is to see the trend. Because of its design, your eyes have to move from quarter to quarter, match up the bar colors, then once you hit Q4, go all the way back to the left. This is way too much work for the reader. On top of that, you have to calculate the rate of change in your head. I created this simple version, very much in the spirit of what I leared at one of Cole Nussbaumer’s workshops. This view makes the story much, much simpler to see and adds the necessary context. 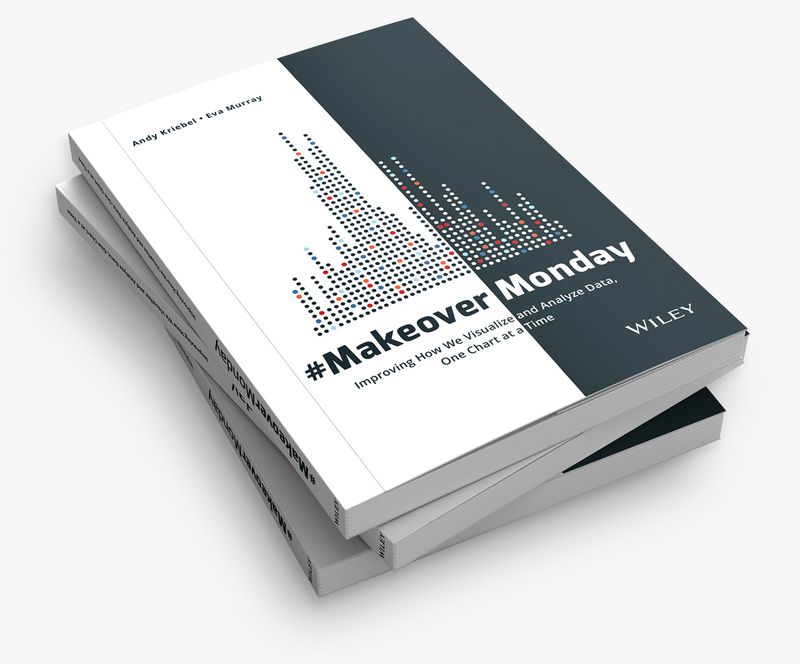 You can download the data here and the Tableau workbook here.